Although this is a DVD instead of a book, this jewelry making instruction is hard to find and presents an old, but rather unusual way to start learning about making your own jewelry. Not to mention that this is just great fun, fast and can be lucrative. You can make several gorgeous fork bracelets in a day and sell them upwards of $100 or more depending on your chosen centerpiece stone. This is very unique jewelry indeed. 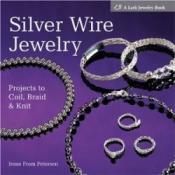 This is a very good and practical beginner’s book for anyone wanting to start making wire jewelry. With a sophisticated take on wirewrapping, All Wired Up focuses its’ attention on providing the reader with very basic and detailed information. Mr. Lareau's techniques wisely focus on a number of first steps in wire working: making wire loops, wrapped loops, scrolls, triangles and builds from there to include how to make clasps, headpins and other essential jewelry parts. There are jewelry projects to make with these newfound essential skills as well. Anyone inclined to become a beadworker will find this book an essential one in their library. 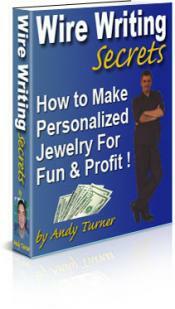 Aspiring and beginner jewelry makers will benefit from the essentials in this book as well. wonderful book by Petersen, Silver Wire Jewelry, has some true originality in both its’ techniques as well as the stunning jewelry design projects it presents. The techniques are very well illustrated and remarkably simple. 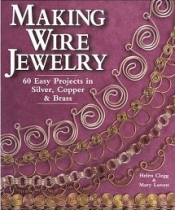 This book offers the beginner an excellent starting place and even the pro, some new inspiration and challenge.As with her first book, Great Wire Jewelry, none of the projects in Silver Wire Jewelry require soldering: just tools and wire. 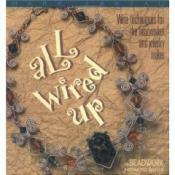 This is one of the books I'd recommend for a beginner or aspiring wire jewelry artist. This book is filled with original projects and designs as the the book’s tag line , “60 Easy Projects in Silver, Copper and Brass”, clearly indicates. The book offers many simple techniques that are excellent for a beginner and the many wonderful pictures and illustrations almost ensure success in your own jewelry making. Using Making Wire Jewelry, just about anyone can readily learn not only how to easily manipulate wire but also how to do it using different types of wire. If you're looking for jewelry making ideas and how to make unique jewelry, this book is a must-have.